We have already expected that upcoming Mi 9 Transparent Edition aka Explorer Edition will also feature a triple rear camera setup at its back like the regular Mi 9. 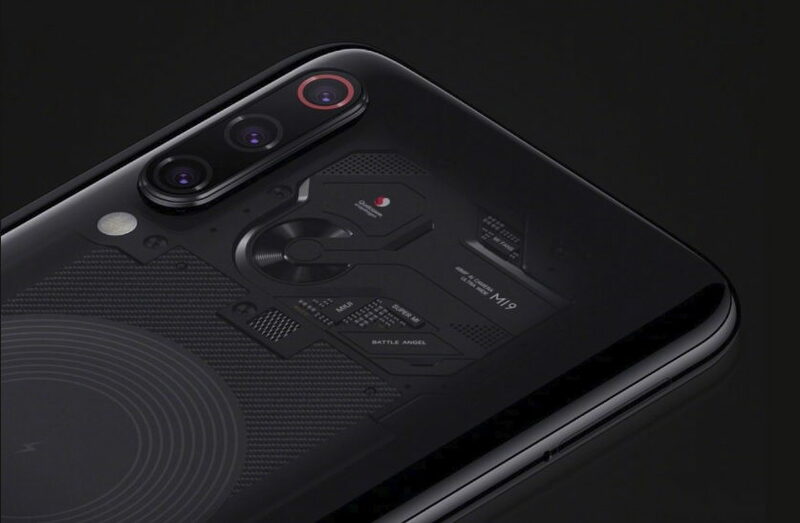 Now, Xiaomi has officially confirmed that the Mi 9 Transparent Edition, also known as Explorer Edition will feature a triple rear camera setup, not four, as it was being reported earlier. Donovan Sung, Xiaomi’s Global spokesperson, Director of Product Management earlier today shared the first official image of the Mi 9 Explorer Edition on his Twitter account. Donovan called it Mi 9 Transparent Edition. The image share by Sung today officially confirmed that the Mi 9 Explorer Edition will come with a Triple rear camera setup, not four. The same has camera setup was also been confirmed by the first leaked promo video of the Mi 9 Explorer Edition we posted yesterday in our previous post. It has been already confirmed that Xiaomi will officially launch it’s MI 9 and the Mi 9 Transparent Edition on February 20 in China. A new leaked poster earlier today revealed that the upcoming Mi 9 will be priced at ¥3499 (~$516) Around Rs. 36,000 INR, while the Mi 9 Explorer Edition will be priced at ¥5999 (~$885,) which is Around, Rs. 63,000 INR. Both the device will be powered by a Snapdragon 855 SoC and will feature a triple rear camera setup out of which one will be 48-megapixel wide angle lens. The Mi 9 has been confirmed to feature a 6.39 AMOLED display and will come with 20W fast wireless charging support. To get the latest smartphone updates like this, don’t forget to follow our post on our official Twitter, Facebook and Instagram account.